Fill your jar 85% full of water. Add as much glitter as desired. Add 2 – 3 tsp of glycerine or baby oil per cup of water. Hot glue decorations to inside of lid. Place lid back on top of jar and seal it. 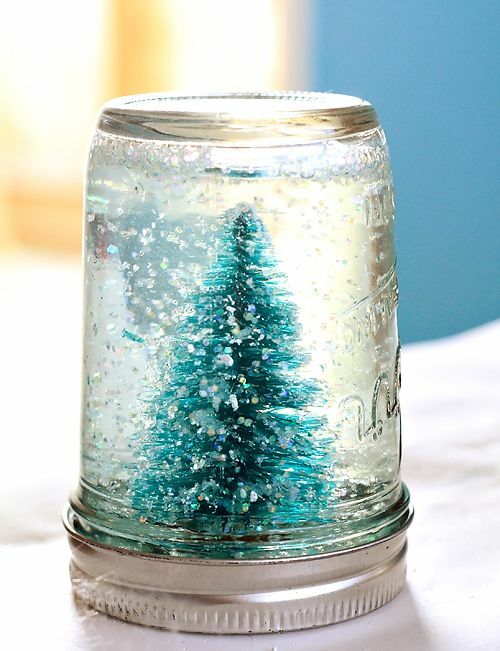 *Option: line the rim of the jar with hot glue to keep it sealed.